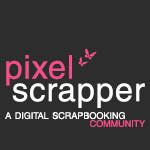 I am up on the Scrapping Fun Kits blog today with this Planner Spread that I used the June Kit to create. 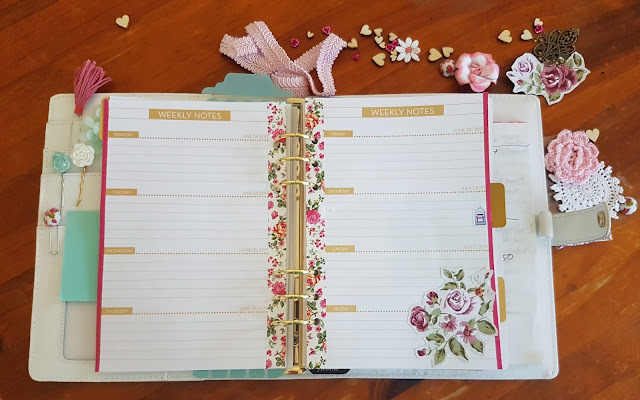 Morgyn and myself were discussing our planner funk and so I challenged her to do a planner spread each month using the current kit and she returned the challenge. 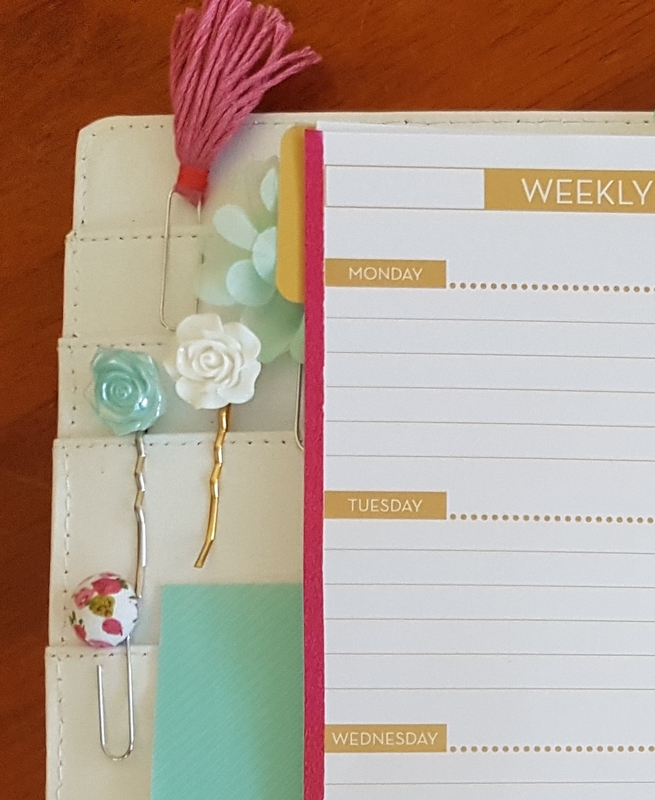 Hopefully this will get us both planning more as using my planner really does help me. In addition to the Tassel Clip in the Kit I made a clip with one of the Fabric Buttons so that I would have a couple of cute clips availabe to bookmark important things this month. As I had used the gorgeous rose washi from the June Kit to reinforce my pages I wanted to add some 7mm rose washi I got from Chiogami Designs about 3 years ago to my page edges to help balance things. 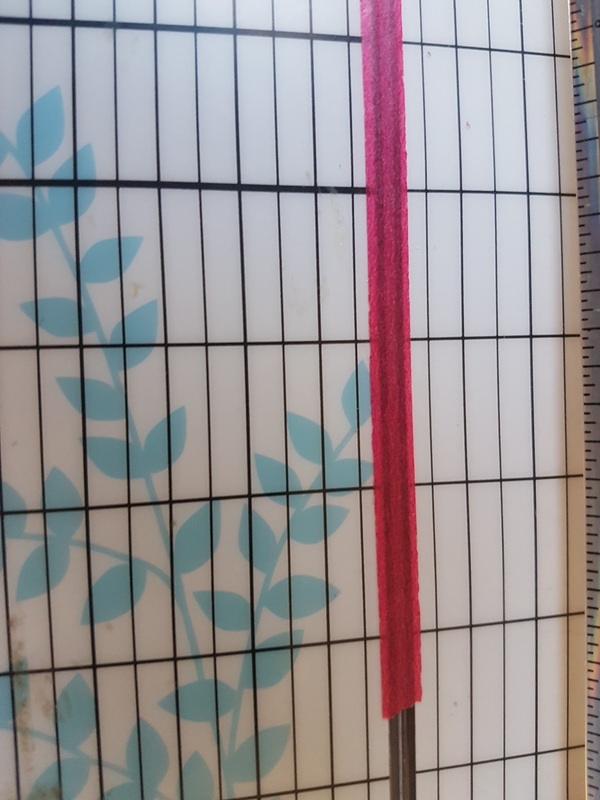 I trimmed it in half lengthways so that it didn't go over onto the days of the week. 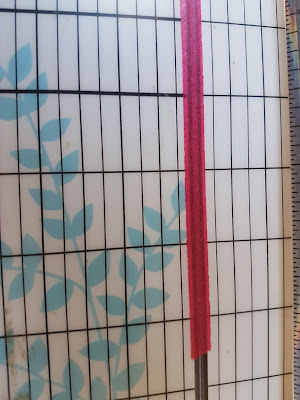 If you haven't done this before just place a strip of washi (I prefer to go a little longer than I need) on the cut line of your trimmer so that it is approximately half way on each side of the cut line and trim. I also used one of the flowers from the cut apart in the June Kit in the bottom right corner to cover the checklist. 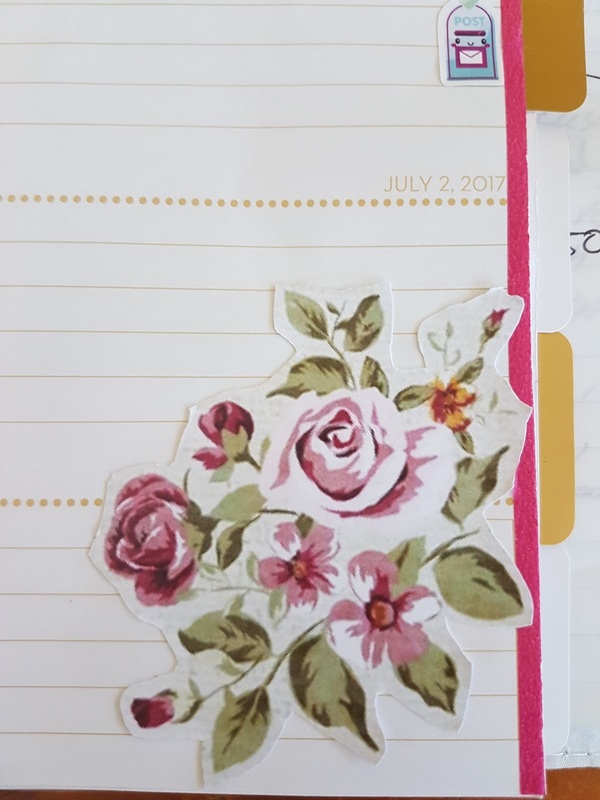 The cute mailbox sticker is from Lady B Creations mark when I will be posting the July kits to those who have paid. As mentioned previously June's kit is inspired by friendship and one of my best friends who inspired this kit is celebrating her 40th at the end of the month so instead of sticking a birthday sticker on her Birthday I decided to theme the week using the June Kit. I am looking forward to adding plans into this spread. Today is the last day to take advantage of the discount code for renewing or starting a subscription in July, if you haven't renewed or subscribed yet and would love to get one of our kits in the mail then please fill out the form on the Subscribe Tab.